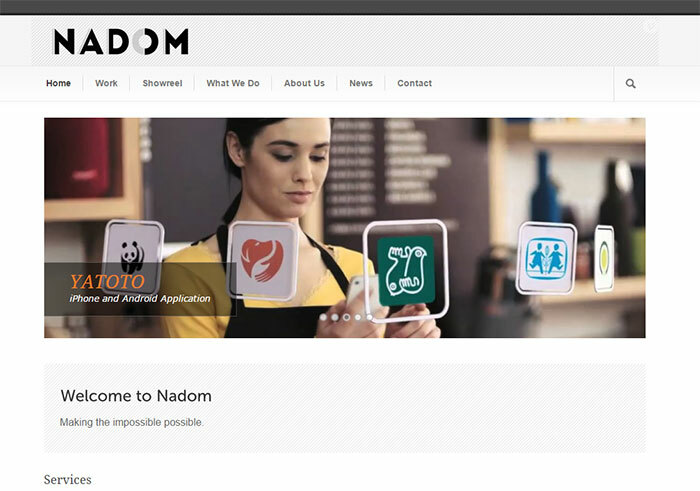 Nadom is a digital production agency that delivers both production and post-production services under the same umbrella. They use the latest film and animation technology to create visual contents for advertisement, TV, digital, music video and film. They ask us to build a clean, modern site to promote their business online and also showcase their portfolio to their clients.